Get your loved one the perfect gift! He/She will just love it! 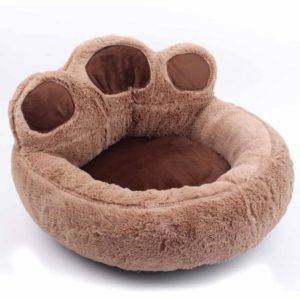 Suitable for many breeds since it’s available in 3 different sizes. One of the great features of this bed is that is really easy to wash besides the fact that is 2 in 1, it can be a house or just a bed – check the pictures! 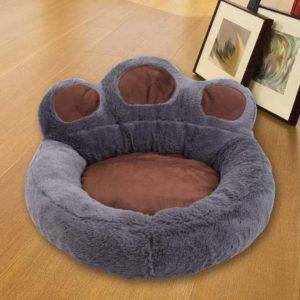 The material is really soft and breathable so your Dog can rest peacefully at night or during the day while you watch your favorite show! THIS IS ONE OF OUR BEST SELLERS!!! GET IT TODAY SO YOU CAN TAKE ADVANTAGE OF THE UNIQUE SALE BEFORE YEAR ENDS AND PRICE RISES. 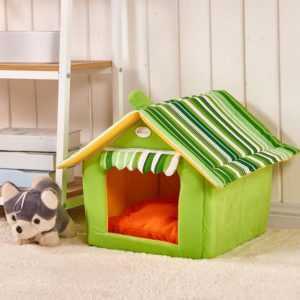 You can also check our other carefully curated Pet products to complement your order! The doghouse was exactly as described. Also the same tone of color. 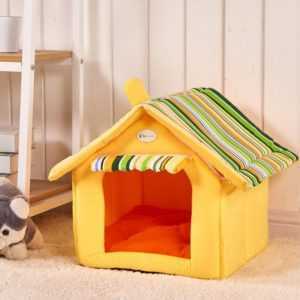 Nice little house for small dog or cat. My cat and dog were almost for it. Super quality, not wrinkled, cracked down instantly, inside the mat, thick the parolone, home to the touch, as velour, bought for Chihuahua, from me sneeze weighs 1,2 kg. So for her size S as palace. Fast delivery 2 weeks. The track is monitored. Excellent quality! My dog loves it! I ordered the size medium, my dog is 15 lbs!